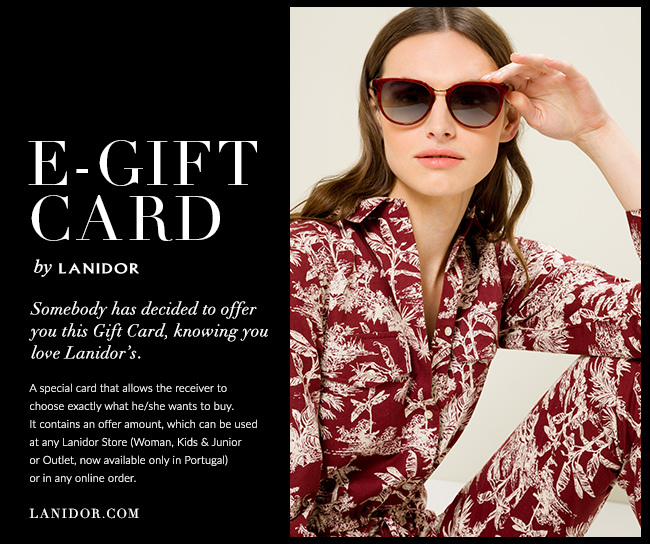 The online Lanidor gift card (send by e-mail), can be used in any online order. Valid for full or partial payment within validity. your balance will automatically be calculated for you! o Gift Card directamente para quem quer oferecê-lo. • Every order will be processed in euros. • If your order amount is higher than your E-Gift Card available amount, you can pay the remaining amount by another payment method available.